The Nexus 9 already feels like the forgotten child of the Nexus program. Introduced only six or so months ago, this device seems to be the slowest of them all to receive timely updates. We aren’t sure if the tablet’s NVIDIA chip is to blame, if Google is mad at it for coming in “sand,” or if they keep confusing their whale phone for it, but the N9 has been stuck on Android 5.0.1 for quite some time. It hasn’t been updated to 5.0.2 or 5.1 or 5.1.1 to date. Look at our Android 5.1 OTA update list – see anything missing? Yep, only the Nexus 9 is without links to update files. 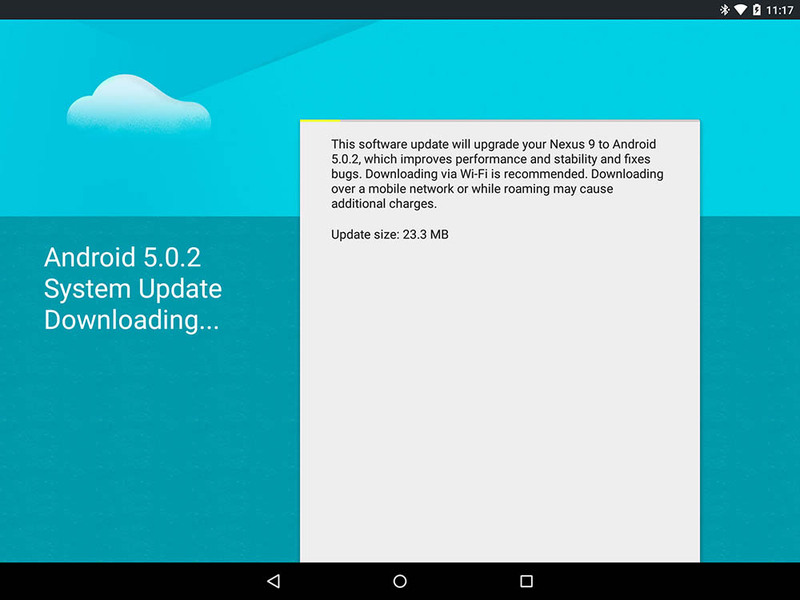 To make matters even weirder, Google is pushing an update to the tablet this morning in the form of Android 5.0.2. While we were almost positive that Android 5.1.1 was around the corner for it, after seeing confirmation of 5.1.1 running on the N9 a couple of weeks back, we now will forever avoid making predictions in relation to this tablet. After all, it’s also the only Nexus device without 5.1+ factory images to date. The update is a meager 23.3MB, so it shouldn’t take long to update to. Maybe this is a pre-update to the 5.1.1 update that is around the corner? Sh*t, I wasn’t supposed to make predictions. Go get your update!